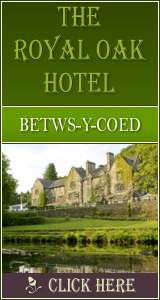 Bethesda: Accommodation, Attractions, Activities, Going Out, Shopping, Things to Do, Places of Interest, Outdoors, Llandudno Holidays, Llandudno Area Location, North Wales. Bethesda lies on the River Ogwen on the edge of Snowdonia. The village is best known as a starting point for walking or climbing Snowdonia. The town is famous for its involvement in the slate and stone quarrying industry, the largest of the local quarries being the Penrhyn Quarry. The quarry used to export its slate all over the world and gained a reputation for being the world�s best. The town was the site of a famous three year strike led by the North Wales Quarrymen's Union from 1900. This led to the creation of the nearby village of Tregarth, built by the quarry owners, which housed the families of the workers who did not strike. Bethesda is noted for both the number of chapels and pubs in the town. There are at least ten establishments that serve alcohol in the Bethesda area, and the busiest night is on a Sunday rather than the usual Friday or Saturday. Some of the pubs include the Douglas Arms, the Tŷ Isaf, The Bull, The Kings Head, Y Sior, The Victorian Arms and the Llangollen. The town was named after the Bethesda Chapel, which has now been converted into residential flats. Most of the town is to the east and north east of the A5 road with housing packed onto the hill-side in irregular rows. This was due to the A5 marking the border of Lord Penrhyn's land, and the freehold land. This can still be seen in the layout of the current high street where all the public houses are only found on one side of the road. The population of Bethesda peaked at 10,000 during its heyday, but is currently around 4,327.